My cheeky (or lame, depending on your mood) take on these hundred was based on the 100 Great Reasons To Love Winnipeg campaign dreamed up by my brother Brad Hughes in the '90s. By the time I had completed my version in July 2008, Brad had succumbed to cancer. This list is dedicated to him. 90. Who wants to garden 12 whole months of the year? That's an awful lot of bending over. 78. We'll never get attacked by terrorists. They don't even know we're here. 77. There's an arts group here for every 23 people, and if you don't like any of them, start your own! 58. The crazy old guy whose parents left him the broom factory on Notre Dame. The only place in town to get a 20 year-old, brand-new push broom. 51. We're parsimonious: Can these two be harmonious? 49. As a filming location, US productions have been coming to Winnipeg for the value. But even though the Canadian dollar now makes the US dollar look like rubles, I predict we'll still see some action here. They keep coming back because Winnipeg is a great stand-in for almost anywhere (except the mountains. Unless you count Garbage Hill). 48. Garbage Hill: We don't have hills in Winnipeg, so we made our own. Out of garbage! How ingenious. Great for tobogganing in the winter, Garbage Hill is also fun in the summer. Can Calgarians play frisbee on their hills while dodging old Fiesta Ware shards working their way up to freedom? 46. In response to concerns about downtown safety, the City has announced more beat cops walking up and down Portage between Main and the U of W. (More beat cops patrol downtown Winnipeg streets) In an unrelated story, Tim Horton's has announced they will be opening a dozen new donut shops on Portage between Main and the U of W.
36. Local transplants like author Anita Daher. 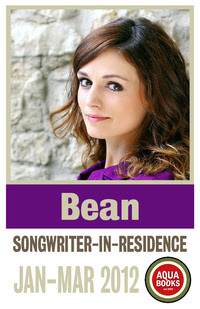 Born in PEI, Anita makes her home in Winnipeg, because she likes it. (And she got so sick of Anne of Green Gables.) Anita won this year's John Hirsch Award for Most Promising Manitoba Writer. (I was on the jury.) Anita's new book, Two Foot Punch, came out two weeks ago, and is a very fun and zippy read. It's a young adult thriller about a couple of kids who do parkour (look it up) all over Winnipeg's Exchange District. 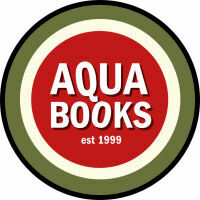 Aqua Books makes a cameo in the book under our old name, Aslan and Frodo's Used Books. (Bribing the jury?) Two Foot Punch is available at McNally Robinson, but not at Aqua because it's not used yet. 35. Winnipeg's New(ish) Millennium Library: Just kidding. Borrowing books is for losers. Buy books. Used books. Plus that one I just told you about. 32. In 1936, Louise Staples, a teacher at Winnipeg's Greenwood Elementary, was the first Canadian to organize a school safety crossing patrol. Later that year, little Willie Colburn was the first Canadian patrol to shout at a jaywalking student: "I'm going to report you!" 31. We're Tough: Where else could you see a woman walking down the street in -20, wearing sockless crocs? 30. Sushi: There are now more Japanese restaurants in Winnipeg than Japanese people. 29. It will be ages before we're actually affected by Global Warming: We're still a virginal cold-weather utopia. 28. Our high and low temps are also matched by our high- and low-brow: Not only is Winnipeg Canada's Cultural Capital, we're also the Slurpee Capital of the World. 27. Ron Robinson: The velvet-voiced, vest-vestmented veteran is back. 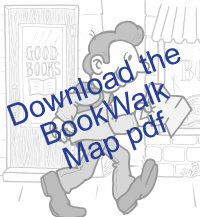 Readin' Ronnie's all-books, all-the-time radio show is Thursdays at 5pm on CKUW 95.9 FM. 26. Just when you think you're out, they pull you back in. 25. Unlike NYC, when it's sunny in Winnipeg, you can actually see past the buildings to the sun. 24. Birks is coming back downtown after 15 years away. 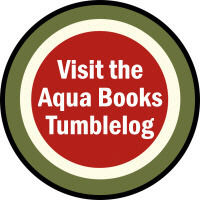 They've announced they're moving to Lombard and Main to be closer to the new Aqua Books. 23. The super cool art deco elevator at 250 McDermot. Sometimes I ride it up and down until they throw me out. 21. The Order of Manitoba. If Sam Katz can get one, you can too! 20. Uncle Bob, Archie Wood and Marvin the Mouse: Weren't these guys #76 too? 19. Fresh Air: This is something to boast about. Go to New York and sniff around a bit. 18. The Wagon Wheel on Hargrave: My Dad used to take me there. How is it still open? 17. The Paddlewheel at The Bay: As long as there are old ladies, there will be a Paddlewheel restaurant and those little Jellos. 15. We're finally on the map for the amazing Cirque du Soleil again. Last year's scaled-down Delirium tour was such a success here, that this year we're getting one of the big top shows. Before August 2007, Cirque du Soleil last played Winnipeg in the early '90's at the Pantages Playhouse. 14. The Forks: I've slagged the Forks as much as much as any other self-respecting Winnipegger, but their new Arctic Glacier Winter Park is a smart idea. The Forks has the same tourist trap-py failings as most of the other public markets in Canada (Eau Claire in Calgary, Granville Island in Vancouver, etc.). But it really is one of the few true public spaces in Winnipeg, in a civic landscape dominated by shopping malls impersonating public spaces. 13. Union Station: Offices now occupy the space where a (failed) public market was attempted (fifteen years ago? ), but Union Station is still an architectural gem. Let's be thankful that train visitors to Winnipeg land in our own scaled-down version of Grand Central instead of Kildonan Place. 12. The Bears on Broadway: Should we call them the Ursines on Assiniboine? How about the PoBears of SoBro? I just discovered the other day (on my way home from #13 and #14) that many of the big statues now live behind the Leg. It would be more interesting if the bears were from more than just one mold, but it's okay. Public art is public art. 8. Assiniboine Park: Can't get enough of old people in running shorts? Visit one of Canada's largest urban forests on a Sunday morning. 7. MTS Centre: Don't cry for Eaton's. The Phone Booth is one of North America's busiest venues. Do you think that Cirque de Soleil would have come if they had to do their shows in the old Winnipeg Urena? 6. Guy Maddin: Local filmmaker Guy Maddin is a civic treasure and should be awarded the Order of the Buffalo. His new film, My Winnipeg, has been acclaimed all over the world, and not just by ex-Winnipeggers. Roger Ebert gave it 4 out of 4 stars. A must-see if you love or want to love Winnipeg. 5. The Writers' Studios at 274 Garry Street: As you walk around downstairs shopping or eating, someone upstairs is likely sweating away on a new novel. When these books come out, I'll let you know. We'll make a Written at Aqua Books section. 2. EAT! bistro at 274 Garry Street: Truly SoPo's hottest lunch spot. (We're open until 9pm, but it's lunch that's usually a zoo.) Virtually everything is made from scratch, from sauces to dressings to soups (but no nuts). If you can resist having one of the awesome desserts, call the morgue, you're already dead.